An appealing way to display berries, nuts, olives, dried fruits, cereals, sports powders, coffee, pet foods, liquids and more. Self-supporting with an oval shaped bottom gusset and rounded corners, Venus Stand Up Pouches can be printed or labelled and heat sealed closed with a Venus Heat Sealer. 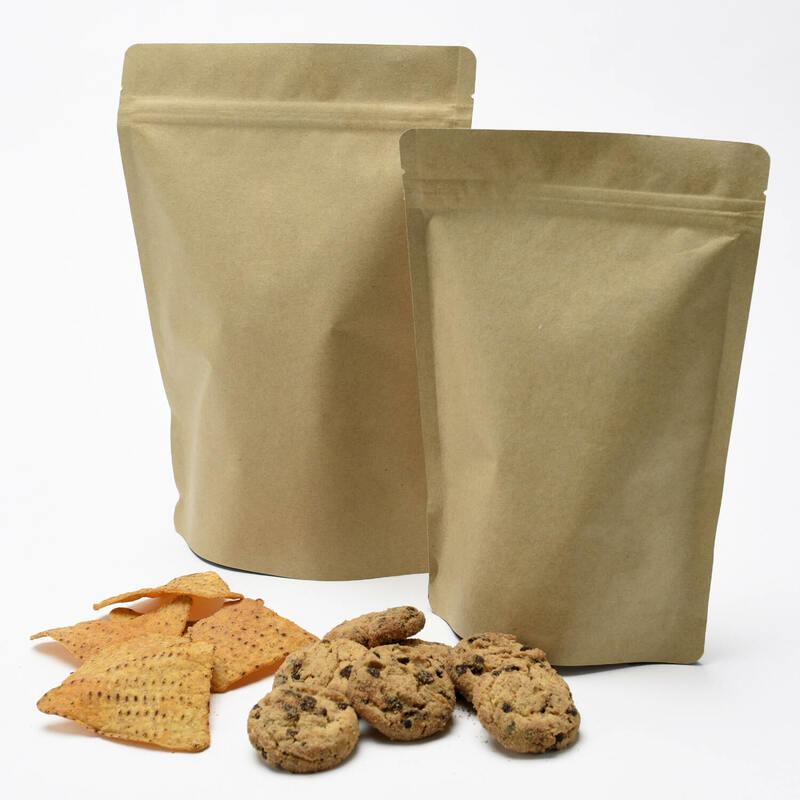 Brown Kraft Stand Up Pouches (brown kraft paper finish back and front), suitable for a variety of products including coffee, fresh food products and cereals. Available in 250g & 500g sizes. See sizing chart for product details. 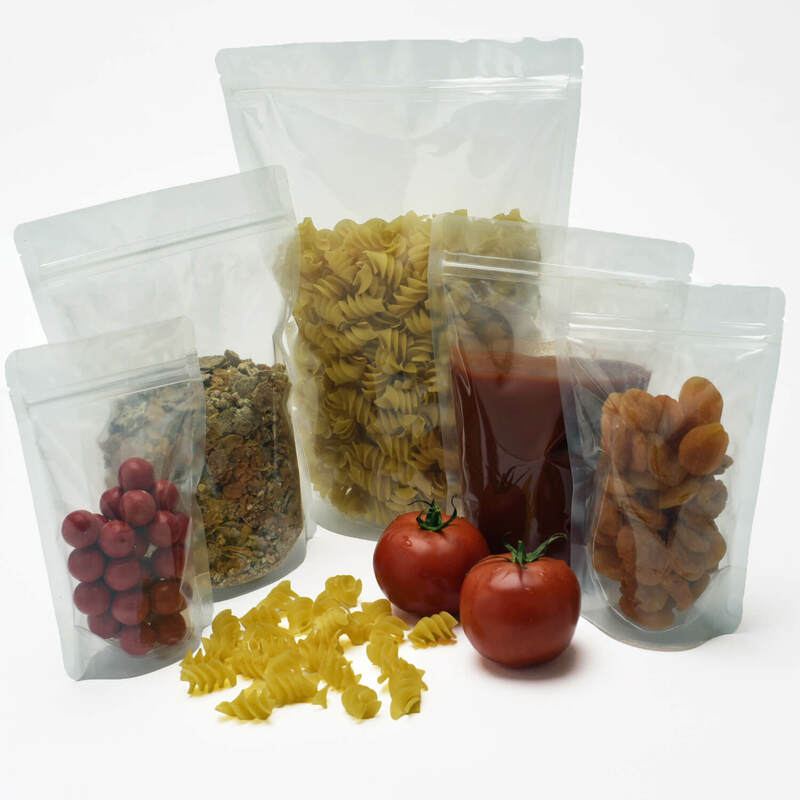 Clear on the front and black on the reverse, with a silver lining, and made from high quality PET, these pouches are great for packaging a variety of products from wet goods, to dried produce. They come in 3 sizes: 150gm, 250gm, 500gm. See sizing chart for product specifications. Our clear (front) / silver (back) Stand Up Pouches make a good impression on retail shelves. 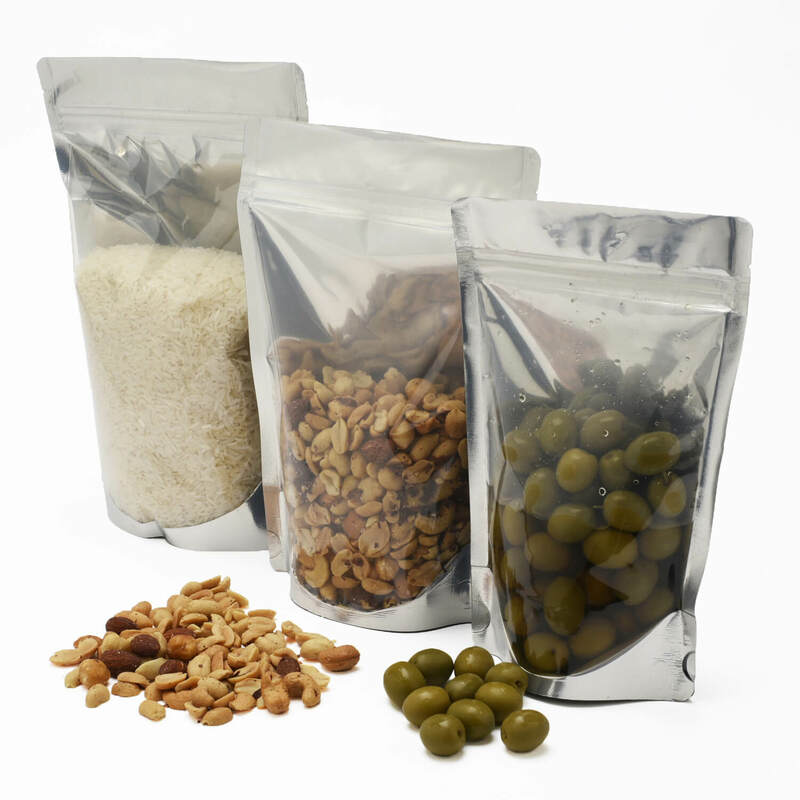 Used for packing wide variety of fresh and dried goods, these pouches can be sealed using a variety of Venus Heat Seaers or Band Sealers. 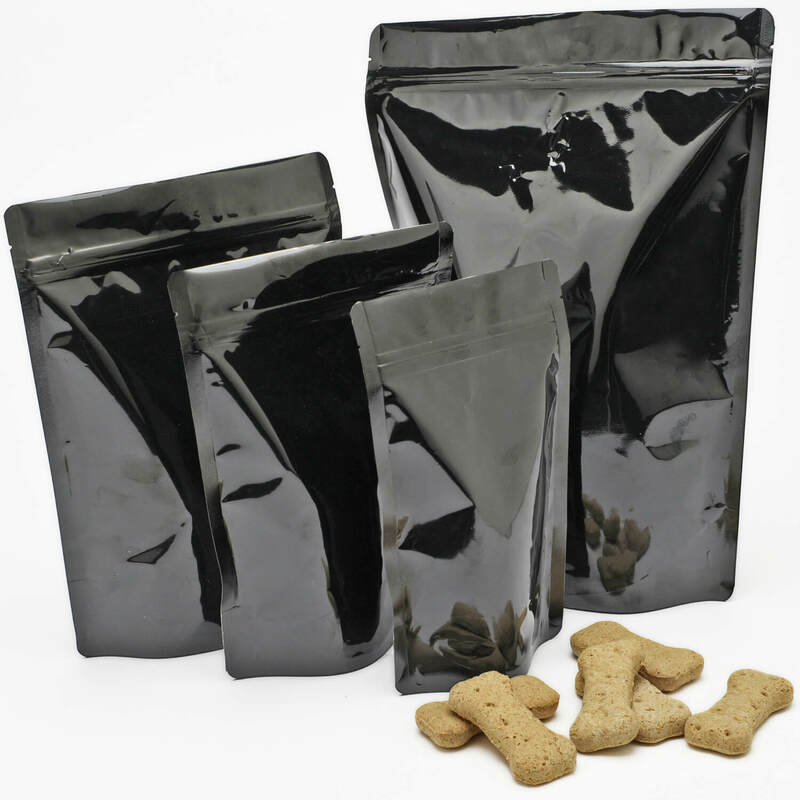 Food grade Stand Up Pouch in black PET12 (front), PET12/VMPET12 (back). Ideal for light sensitive products and foods. Available in 4 sizes: 150gm, 250gm, 500gm & 1Kg. 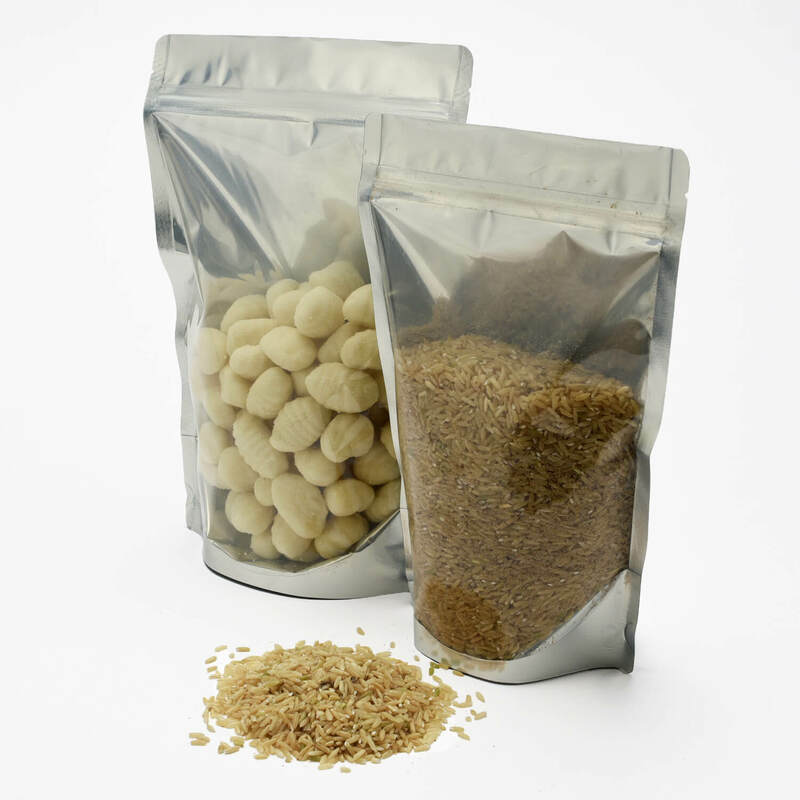 Clear Stand Up Pouches provide the best opportunity to showcase your product on retail shelves. Made from high quality PET & available in a variety of sizes, these pouches offer a superior packaging option and quality presentation. See sizing chart for specifications & sizes.